Fireworks are fun for the family to watch but are torture for your dog. In Human World, we stand there and stare at gunpowder exploding over our heads and say, “So pretty!” Which probably isn't very smart Human World. 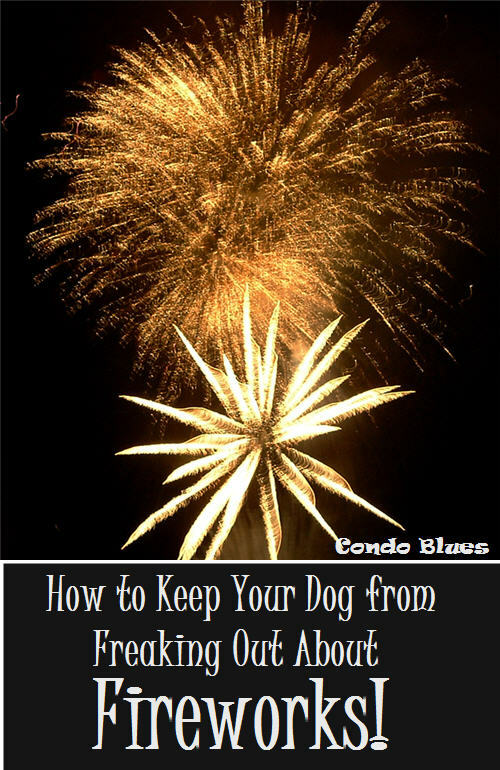 Fortunately, there are several methods you can use to keep your dog from crying, whining, barking, and freaking out during a fireworks show on the Fourth of July. 1. No matter what put a collar and ID tag on your dog! More dogs runaway on the Fourth of July than any other holiday because dogs are afraid of fireworks. This is especially true for the very sweet always indoor pets who can and will slip through any opening run in panic from loud fireworks noise. Sadly the majority of these dogs never find their way home because they are not wearing a collar and ID tags. 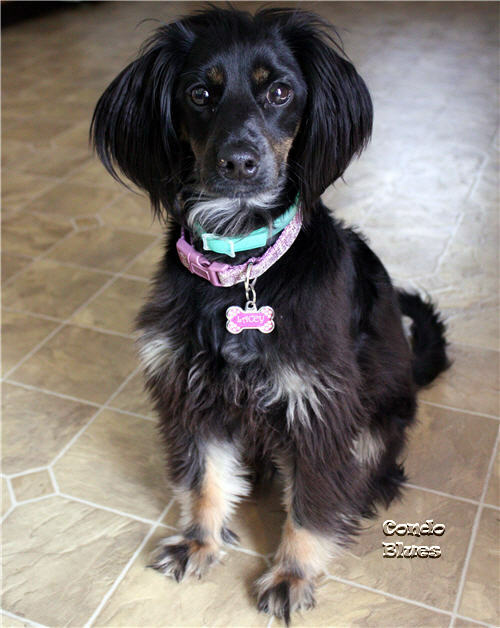 If you are concerned about a dog collar matting your dog’s fur, use a rolled collar which is specifically made not to mat fur, especially on long haired breeds. Blitzkrieg wore a padded and rolled collar similar to the one shown here with great success. They make rolled collars for large dogs too. If you are concerned about your dog’s collar getting caught on something, try the breakaway dog collar shown here which is the kind Lacey wears. It does not come unbuckled when Lacey is pulling on her leash like crazy because she sees squirrels that need to be barked at. 2. The Number One thing you must not do when your dog is scared and panicked during fireworks is DO NOT PET AND TRY TO COMFORT YOUR DOG. You will only make their problem worse. I know this sounds heartless because hugging and holding a scared child calms them and makes them less afraid. That’s only how it works in Human World. That is not how it works in Dog World. Dogs follow the confident leader of their pack (that’s you) and take their cue from you. That means petting and trying to comfort your scared dog like you would a scared child does the complete opposite in Dog World. You are actually telling your dog you want them to be afraid. In Dog World your pets and cuddles are a reward for being afraid! Step 2 is really hard for Lisa because she is such a human! But she sticks with it because she loves me and you know what? Now I don't care one bit about fireworks outside! The best thing you can do for your dog when they are freaking out about fireworks is be a calm and confident leader. I like to visualize myself as an emergency room doctor or nurse. They take charge, stay calm, and get the job done even though they are may be feeling all of the scary feelings their patients are panicking about during the emergency. How do you teach your dog to calm down during fireworks then you ask? You can’t pet them and letting your dog run around bark and panic won’t solve the problem either. The best way to keep your dog from freaking out over fireworks is to give your dog an irresistible distraction. 3. Give your dog a safe space during fireworks or neighborhood firecrackers. Board your dog at a kennel for the night or if you are traveling. If your dog is crate trained and sees it as a safe space, let them use it if they want. We use a dog x pen as Lacey’s safe space because of her issues with constant crating in her past. Lacey’s behavioral issues makes her a Velcro Dog and she panics when she isn’t with her people and makes her other issues worse. Instead of crating, she stays in the same room as us. The key is I do not snuggle or pet her while the neighbors shoot off bottle rockets outside. Following steps 4 – 7 is why Lacey half snoozes the Independence Day chaos away. 4. Tire your dog out with a long walk, trip to the dog park, dog sports, or with lots of play before the festivities start if possible. A tired dog is a good dog. In this case, a doggie workout may encourage them to nap thoughout all of the commotion. Buster Cube – Lacey will beat it into submission from one end of the house to the other to get the treats out. Then she barks at it because it is empty. Kong – filled with either peanut butter, squeeze cheese, or whatever flips your dog’s switch. PetSafe Busy Buddy Twist 'n Treat - filled with filled with either peanut butter or squeeze cheese for smash faced dogs who can’t use a Kong. This was Blitzkrieg’s BFF during thunderstorms and firecrackers. 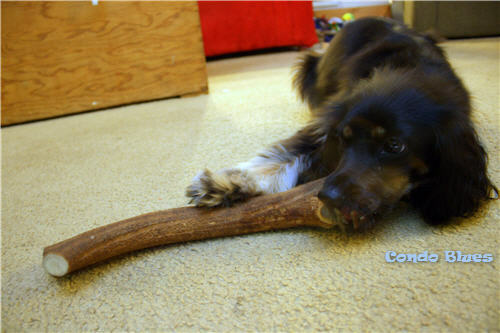 Bully Sticks – Lacey’s favorite all natural chew! Many dogs won’t eat or accept a treat if they are too stressed out and scared so don’t force your dog into treats if they don’t want to take them. Thundershirt - The Thundershirt is based on Temple Grandin’s research and calms your dog like swaddling calms a fussy baby. This thing works. The first time we used it Lacey went from barking and bouncing off of satellites on the Fourth of July to quietly snoozing in an armchair. We use it for all of her trigger situations and it does wonders! They make Thunders from small to very large dogs and cats too! Lacey’s Thundershirt works so well that she doesn’t bark and freak out at Thunderstorms anymore. We hope to work up to more situations where Lacey is confident enough to go without wearing her Thundershirt. If not, that’s OK. She looks cute in it. Calming Pheromone Dog Collar – It has mother dog pheromones, lavender, and chamomile. The dog’s body heat activities it and releases the calming influence when they are nervous just like the plug in pheromone adapters but the collar goes with your dog and will be there when your dogs needs it most. Each collar lasts one month. There is a difference in Lacey’s behavior when her calming collar runs out at the end of the month which makes me realize how well it works. The green collar is my calming collar. 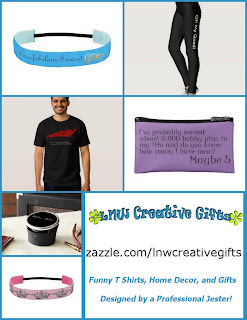 I wear it all of the time not just during thunderstorms and fireworks displays. It sometimes smells like flowers. 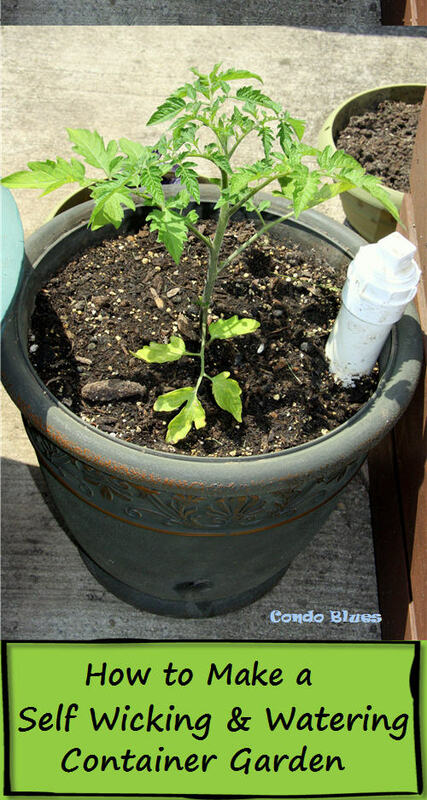 I'd rather it smell like the stinky stuff you use to grow flowers! 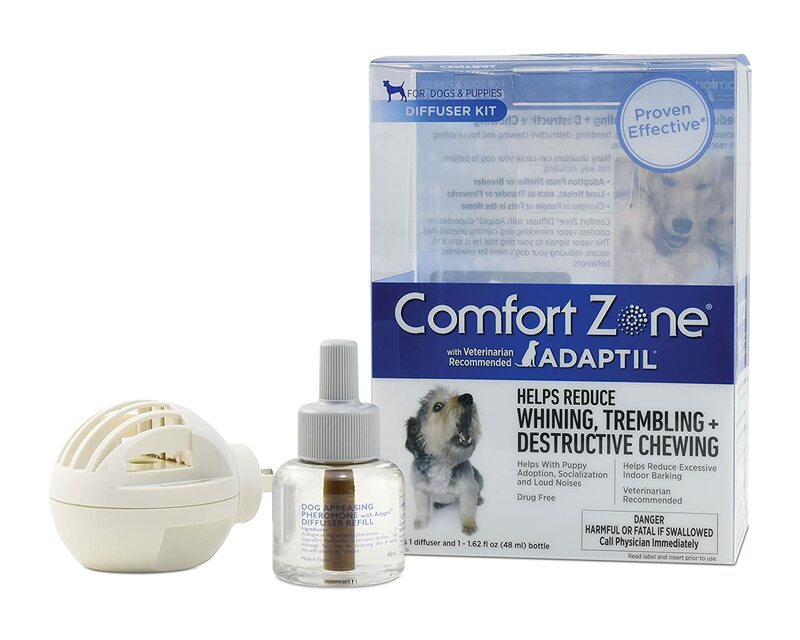 Comfort Zone with DAP for Dogs Diffuser – It has mother dog pheromones in a plug in infuser. I used this with Blitzkrieg. It is best if there is one room your dog stays in one room when they need extra calming help. 7. Consult with your veterinarian and behaviorist and consider prescription medication if recommended. This may be controversial for those of you who do not like prescription medicine but we use it if necessary. When Blitzkrieg came to live with us he was in a constant state of worry of being beaten so much that he developed other medical issues. Lacey also got so sick we almost lost her to illness caused by her separation panic. It was a short term tool that helped calm our dogs of their different worries so we could work on our positive reinforcement behavioral training. Once the dog doesn’t need it anymore we stop. As always your mileage may vary. It may take some time. It may not be easy. But if you are consistent and keep at it, it will work. I should stop right now and remind you that I am not a dog behavior training professional. I am an instructional designer for human training programs, not for dog training program (dogs don’t use computer keyboards very well.) Some of the human and dog learning theories are similar and overlap. Others don't. I’m constantly researching dog behavior to help me understand and help my own dog. While this advice works for Lacey, we are working with a professional dog behaviorist who is qualified to tell us if we are on the right track. I strongly suggest you contact a dog behaviorist instead of a dog trainer (although some dog behaviorists also do sit/stay/come type of dog training too) to help you help your dog instead of trying to do it all yourself.